The Monaco Grand Prix marked the latest step in Sauber's Formula 1 recovery, as it introduced arguably it biggest update package so far this season. A combination of performance and Monaco-specific tweaks were added to the car as the Swiss outfit bids to move up the grid. 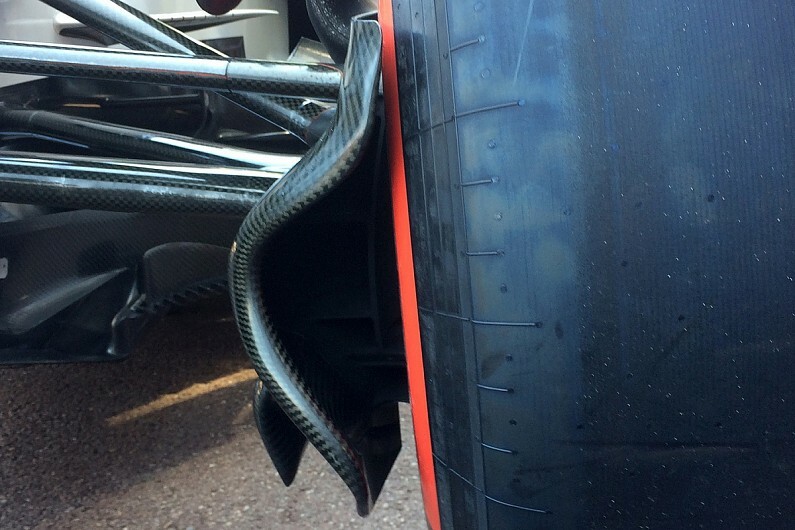 Because the average speed around Monaco is the lowest of the season, cooling can be an issue. The ambient temperature may not be the highest, but some teams would have need to open up their cooling ducts to cope with low-speed corners where temperatures can climb out of control. Sauber revised the shape of the slat above the sidepod, where it joins the chassis (new section highlighted in yellow), in order to improve flow into the upper inlet. This is one of the most difficult areas to get decent airflow through the radiator, because the section gets a bit blanked off with the top of the side impact structures and also because it is very far forward in the radiator duct itself. Sauber's design is not too dissimilar to what Ferrari has done with its top cooling duct, which is perhaps to be expected given the pair share power unit and ancillary commonalities. Monaco was also the place Sauber chose to introduce its blown axle - a solution that already graces the cars of both the Ferrari works team and Haas, which is supplied an extensive list of items by the Italian outfit. Sauber's design appears to have inherited some of that DNA, but it does feature some of its own thinking too - like the inner brake duct fence and inlet, all of which was tested in Spain ahead of its race debut. The blown axle is the perfect accompaniment for a street circuit as it emboldens the aerodynamic effort from the front wing to turn airflow out around the tyre and reduce the turbulence it creates. 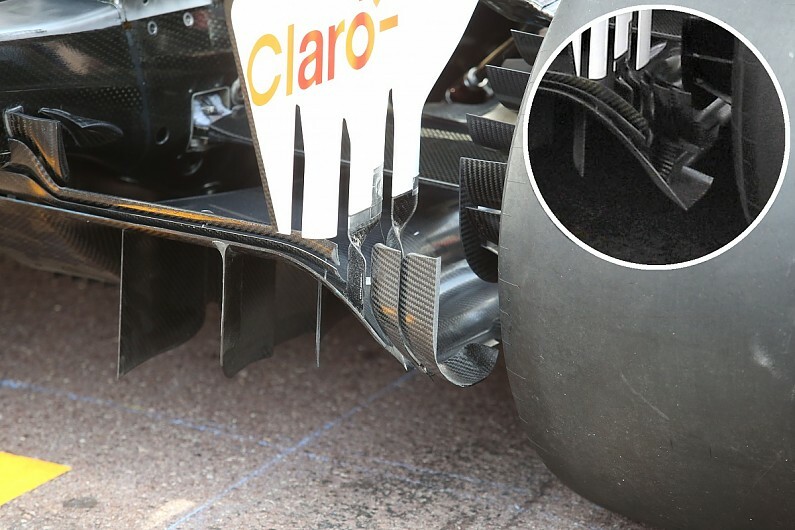 The team also introduced a chassis 'boomerang' in Monaco, using it as a flow diverter to improve the movement of air around and through the sidepods. 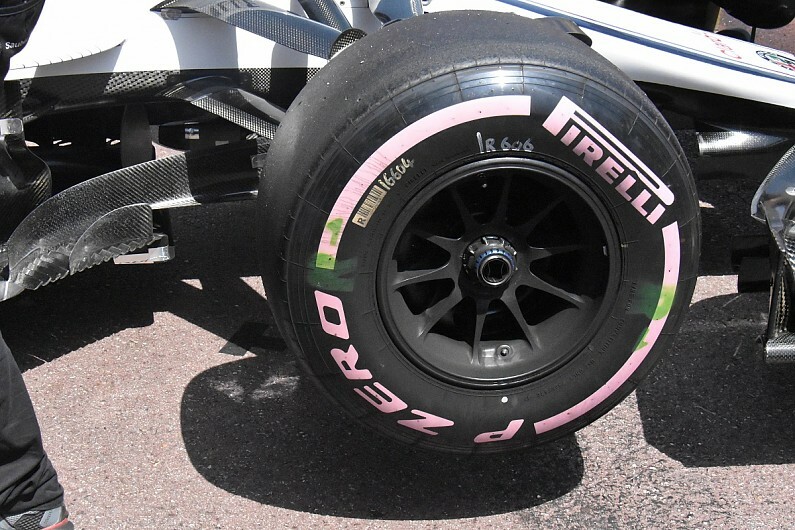 Teams must cut slots in these appendages, to mirror those in the bargeboards and footplates below, otherwise they would fall foul of article 3.7.1 of the technical regulations that relates to step and reference planes. 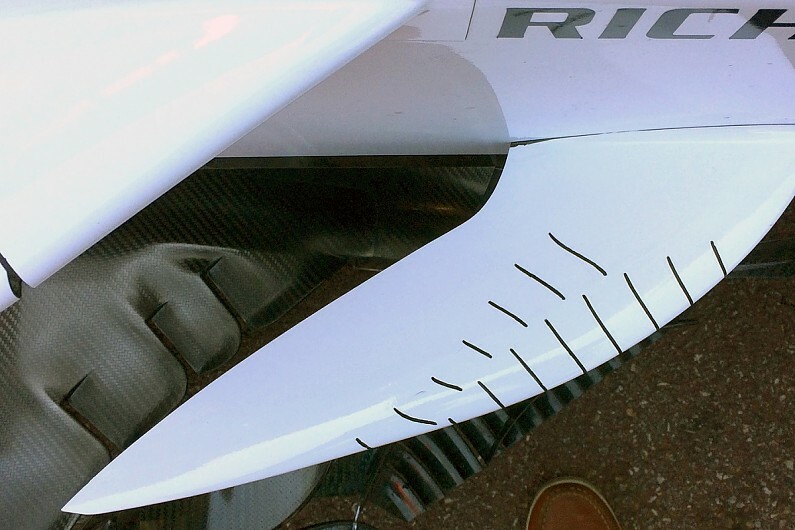 The C37's diffuser also features revisions, with the immensely complex outer section, which had accrued stacked winglets (inset), decluttered as designers attempt to draw more airflow through the diffuser. The simplified version still has the same objective but works the entire corner of the diffuser, as it curves upward from the footplate it forms.